But not just any charity. We wanted you to have a say. We focus on 3 charities at a time. You decide which one you’d like to help, and we donate your share to them. Every pizza comes with heart (Wait, that sounds bad). So we decided that, for every pizza sold, we would donate a portion to charity. When you come here, you’re not just a guest at our little pizza shop. You join a club of pizza-loving warriors, here to leave this world a little better than we found it. Like you needed another excuse to eat pizza. Oh, and our growler project helps us do even more good…with beer! Ask us about it. Our goals: Great pizza. Good works. We started out as just two fun-loving restaurant dudes who wanted to make the best pizza in Dallas. But we also wanted to help our fellow pizza lovers make our beloved city even better. 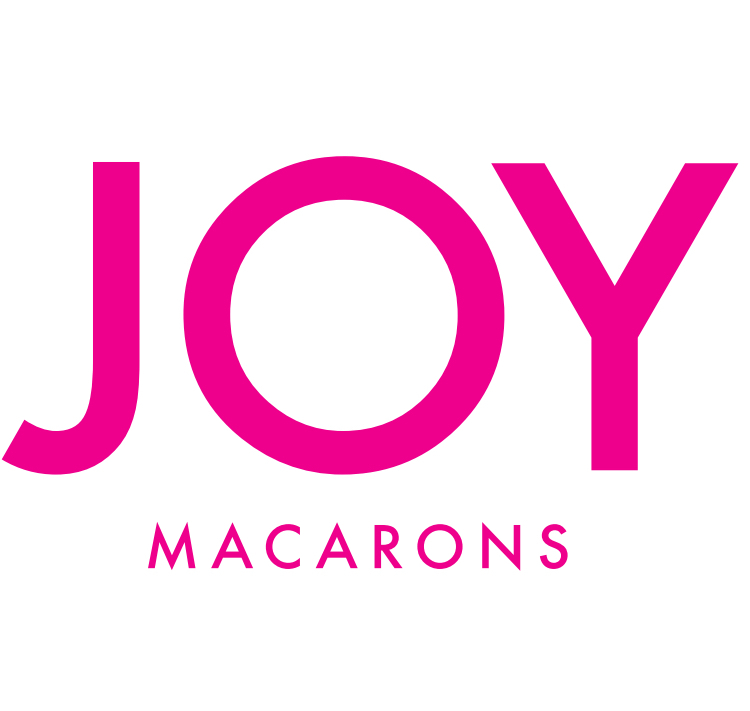 We proudly carry JOY Macarons! Happy Hour! 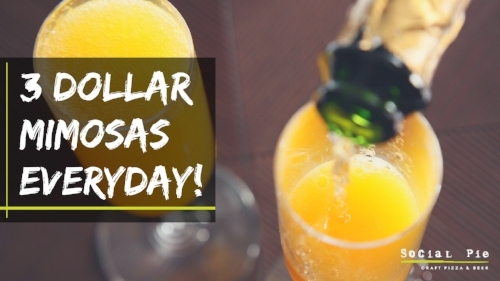 Monday - Friday 25% off ALL Beer and Wine from 2pm-7pm! Join Us For Sunday Brunch On The Patio, And Bring Your Own Coffee Cup For A Free Cup Of Coffee. 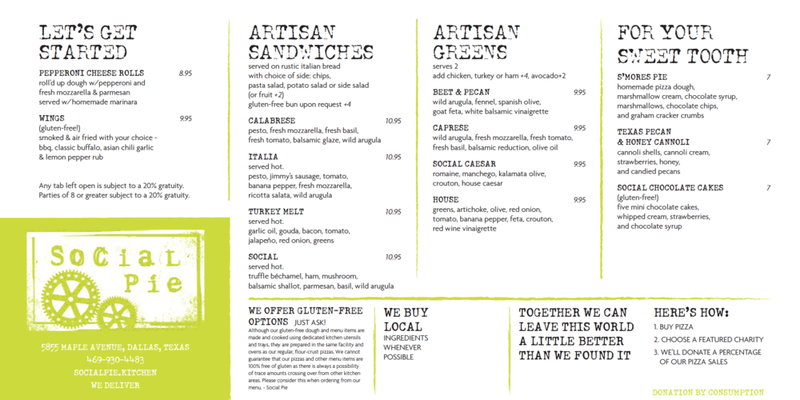 That's Right: Social Pie Is Now Encouraging Our Patrons To Do Their Part To Help Our Planet Along With Us. Every Little Thing That We Do Makes A Big Difference! our compostable takeout "Ecotainers" are Plastic Lining Made From Plants.. Our Plastic Bags Come From Trellisearth.Com,, are 100% Biodegradable And Will Not Harm The Environment When They Decompose. They're Made With Natural Bioplastic Polymers. Plus all our "office" paper supplies are recycled stock We're getting greener by the day!. No, We're Not Being Stingy -- We're Being Green! We Don't Want To Waste A Drop, So Our Staff Asks If You'd Like Water With Your Meal. This Not Only Saves Water -- But Saves On Energy Used To Make Ice And Wash Your Glass. What is Donation by Consumption? Click here to find out!